Our goal is to duplicate as closely as we can the routines for your pet so they remain comfortable happy and stress free in your absence. We have over eight years recent experience in pet sitting in Playa Del Rey, Marina Del Rey and the Westside. You can call us last minute, we are available and located close by. We are mature adults, not kids, we take our pets seriously. 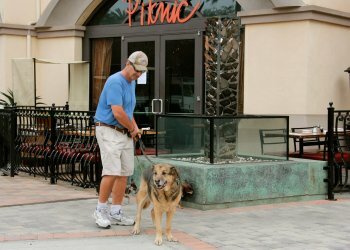 We will provide your canine companion a bright spot during the day. We will not have your dog packed into a car with several other dogs. We will not walk your dog in a pack style. We will not have your dog in the vehicles while other dogs are picked up and droppped off. We will provide you with the phone numbers of other clients who have agreed to serve as references? We provide daily update, if you just want to find out how fluffy and fido are doing. As your PCP Plan. We provide a written service contract spelling out services and fees. The walker you first meet will be the only walker that will takes care of you, your home and your pet. We contact you to make sure that you have returned home. We take the time to understand your pets needs, likesand dislikes to develop a personalized pet care plan. We are family owned and operated and have many years in pet sitting and dog walking. We are licensed in the State of California, in the County of Los Angeles. We provide special need such as administration of medication. We offer affordable rates, based on national averages. We utilize a Key Retention Program and Distaster Emergency Plan. We do dog park visits, we know all the good places in town. Disasters can happen anytime and anywhere and can take many different forms, from barn fires to earthquakes, from a propane line explosion to flooding from a violent storm. Any of these might necessitate evacuation. If you have horses or other large animals, it is important to have a plan to move your animals to a safe area. A plan is even more critical if you have a large group of animals. Do You Have a Disaster Plan?